"Required breakfast reading is the latest issue of Hampstead’s revered satirical rag, the Hampstead Village Voice..." – The New York Times (26/09/2013). The spring edition is at all good local newsagents and bookstores now priced £2. Get it while shops last! Here is the updated online version of the printed story which became something of an 'historical document' before it even reached the shops – and this the day after our editor told Robert Elms on BBC London Radio: "we have an advantage over the Ham & High and Camden New Journal because we're quarterly and can take our time over getting story's right..." Well, happily, that backfired a bit, didn't it! 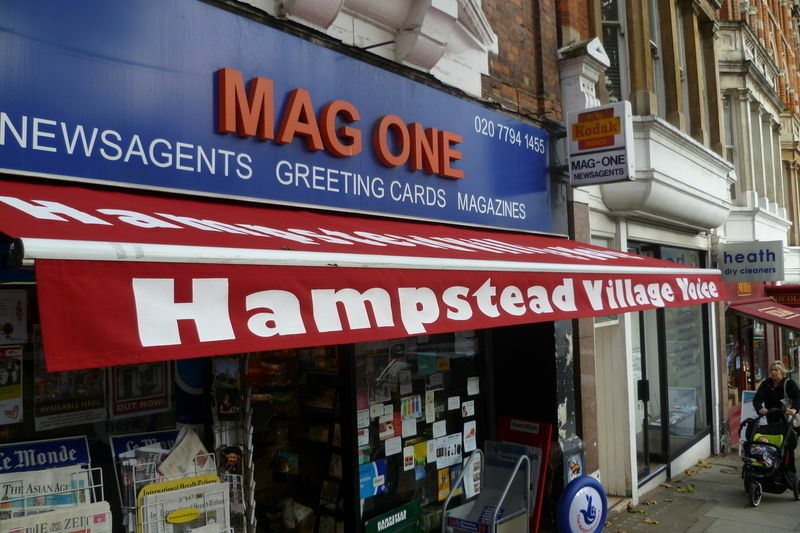 The Hampstead Village Voice is available at over 80 outlets throughout Hampstead, Belsize Park, West Hampstead, South Hampstead, Swiss Cottage, Highgate, Primrose Hill, St. John's Wood, Golders Green, Kentish Town and Camden Town. Mag One, Rosslyn Hill, Hampstead. WARNING: this online version is purposfully naff and somewhat lackadaisical in order to encourage readers like your good selves to spend their £2 on the real thing. 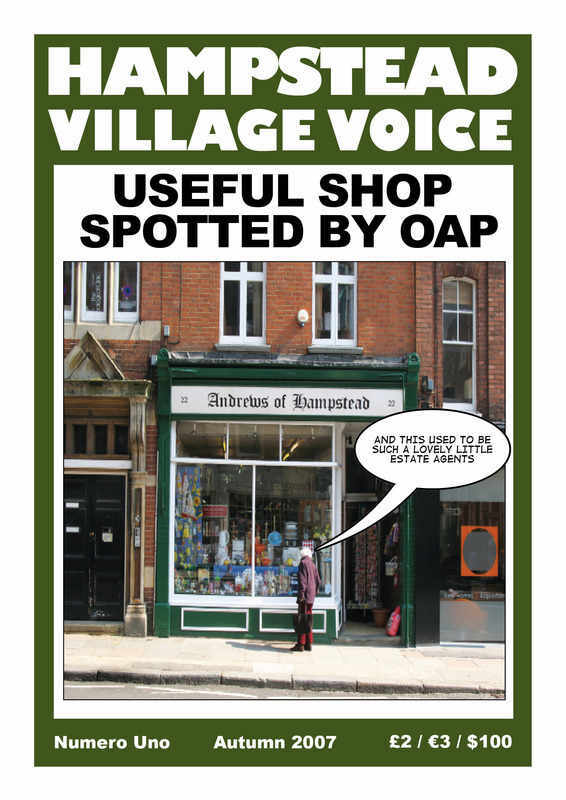 So go help to save your local newsagent from death-by-Tescopoly by buying the Hampstead Village Voice. Check out some Archive action Click Here! Toodle-pip and Viva Hampstonia, land of the not so free! Editor and sworn adversary of Big Brother (Both Orwellian and televisual).